Jake joined Watsi on September 10th, 2016. 9 other people also joined Watsi on that day! Jake's most recent donation supported John, a teenager from Kenya, to fund burn repair surgery. Jake has funded healthcare for 10 patients in 7 countries. Dariana is a 16-year-old high school student from the Dominican Republic who has seven brothers and sisters. She is in the tenth grade, and she likes going to the pool with her friends. Dariana was born with a cardiac condition called atrial septal defect, in which a hole exists between the two upper chambers of her heart. Blood leaks through this hole without first passing through the lungs to obtain oxygen, leaving her sickly and weak. 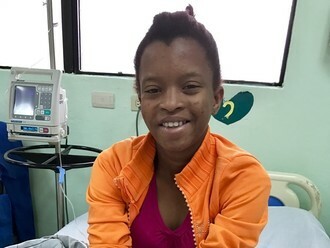 Although Dariana is not Haitian, our medical partner, Haiti Cardiac Alliance, is collaborating with their partners in the Dominican Republic to offer treatment to Dominican children. She will undergo cardiac surgery at our medical partner's care center. First, Dariana will undergo a full cardiac assessment on February 14. This assessment will include physical exams, labs, and an overnight stay at the hospital. Haiti Cardiac Alliance is requesting $1,500 to fund these procedures. Funding for Dariana also covers the cost of medications and social support for her and her family. Gift of Life International is contributing $7,000 to cover additional costs associated with Dariana's surgical care. Dariana says, "I am excited to have this surgery because I have been worried about my health ever since I was a very young girl." Elvera is a wife and mother of six children from the Philippines. She is a very supportive wife and caring mother, and their house is always filled with laughter. For almost ten years, Elvera has been experiencing uncomfortable gynecological symptoms, headaches, and leg cramps. As a result, she is often unable to go to work. Last year, she was diagnosed with a myoma, a benign tumor that develops in the uterus. The doctor recommended surgery, but Elvera did not have the funds for the treatment. Fortunately, Elvera is a member of our medical partner's program. She informed the medical staff that she needed surgery. After undergoing lab tests, she was cleared for surgery, which is scheduled for February 24. She will undergo a hysterectomy to remove her uterus and the tumor. "I am so thankful for your help," says Elvera. "This treatment means a lot to me and my family. When fully recovered, I will be able to work well and earn more for my children's education. I will treasure this opportunity in my heart forever." Youseline lives with her parents, two brothers, and extended family in Cap-Haitien, a city in northern Haiti. She is currently in the fourth grade and wishes to become either a teacher or a doctor. Youseline was born with an atrial septal defect, meaning that she has a hole between the two upper chambers of her heart. The hole results in increased blood flow through the lungs. Over time, this may cause damage to the blood vessels in the lungs. Youseline's condition leaves her short of breath and weak. Youseline needs to undergo open-heart surgery, during which surgeons will sew a patch onto her heart to close the hole. First, she will undergo a full cardiac assessment on January 16. This assessment will include physical exams, labs, and an overnight stay at the hospital. Our medical partner, Haiti Cardiac Alliance, is requesting $1,500 to fund these procedures. Funding for Youseline also covers the cost of medications and social support for her and her family. Gift of Life International is contributing $3,500 to cover additional costs associated with Youseline's surgical care. Youseline is excited to return to school and play with her friends! Phou is a 13-month-old baby boy who has two brothers and one sister. He likes to stay at home with his mother. 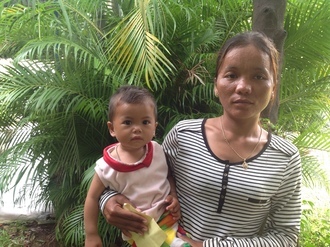 When he was five months old, Phou was burned by a hot rice pot. The injury led to burn contractures on two fingers of his left hand. It became difficult for Phou to hold objects, and he was in pain. When Phou's mother learned about our medical partner, Children's Surgical Centre (CSC), the family traveled for four hours to seek treatment. On December 14, surgeons at CSC performed a burn contracture release procedure and skin graft to allow Phou to use his hand properly again. CSC is requesting $194 to fund this procedure. “I want to be free from breast cancer and have a healthy old age,” 58-year-old Josphine shares. She is a mother of six children, all now grown up, and lives in Kenya with her husband. In September of last year, Josphine noticed a lump in her right breast. She visited several local clinics, but was not able to get a clear diagnosis. Josphine eventually received an x-ray and biopsy this June, and was diagnosed with breast cancer. If left untreated, the cancer could spread, potentially resulting in premature death. To avoid this outcome, Josphine needs to undergo a mastectomy. However, she cannot afford to pay for the procedure on her own. She and her husband—who work as a farmer and a newspaper vendor, respectively—need all of their combined income to meet their daily needs. Although her family has managed to raise $156 for the procedure, this still falls short of the amount needed. For $740, Josphine will be able to receive her mastectomy. This sum will also cover the medications, lab tests, and six-day hospital stay Josphine will need to recover fully from the procedure. Let's help make it possible! Three weeks ago, three-year-old Stuart, a little boy from Uganda, fell and broke his lower leg while his mother, Aida, was working in the fields. She took him to local healers because she couldn’t afford to go to the hospital, and they did some cutting on his leg to relieve the swelling, but it did not help. When Stuart started to get feverish, Aida thought he might have malaria so she took him to the local health center where he was given medication for malaria, but that didn’t help either. When her cousin came to visit he saw that it was very serious and encouraged Aida to take him to the hospital, where Aida learned that Stuart had fractured his leg. Stuart is one of six children to Aida and Benon, both of whom are small farmers. Benon is gone a lot so Aida does most of the farming to grow food for her family. On her own land she grows potatoes, maize, cassava, and beans. She also works for others to earn extra cash for household items like soap and cooking oil. When he is feeling good, Stuart enjoys running and playing with his brothers and sisters and tries to help his mother by washing the utensils. His favorite foods are rice and beans and goat. Their family needs $138 to fund Stuart's treatment. Stuart will be hospitalized for several days before his leg is set while the swelling reduces and the doctors check his fracture to make sure there is no other infection. Then, once the leg is set and healed, the swelling will subside and Stuart will be able to return to running around and playing with his siblings. Aida would like to say “webare” (thank you) to all those who are helping her. “I didn’t know there was a program like Watsi to help me. I am very grateful,” she shares.